Whenever anyone talks about a 39-year-old guy, they don’t really refer to him as old, unless the person you’re talking to is a teenager, who incidentally thinks anyone over 25 is old. 39 is the new 29, you’re “still young,” unless you’re Peyton Manning. After getting off to a slow start and throwing an interception, which was returned for a Kansas City touchdown, commentators, analysts, sports journalists and fans alike began their “I don’t know what he’s doing here, he should have already be retired…he ain’t got it anymore, he’s too old to be out there …” speeches. Apparently his demise was already here and Kansas City was there to witness it. They had his AARP card ready to go. But a lot can happen in nine seconds. Even when you are 39. 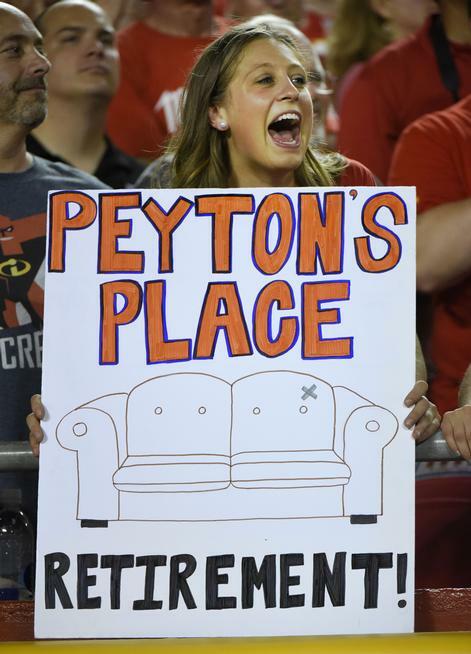 And especially if you’re name is Peyton Manning. Despite the doubt and rampant disbelief in his ability to be awesome, I heard it. OMAHA! OMAHA! HUT! HUT! I bared witness to what I always believed and others doubted. 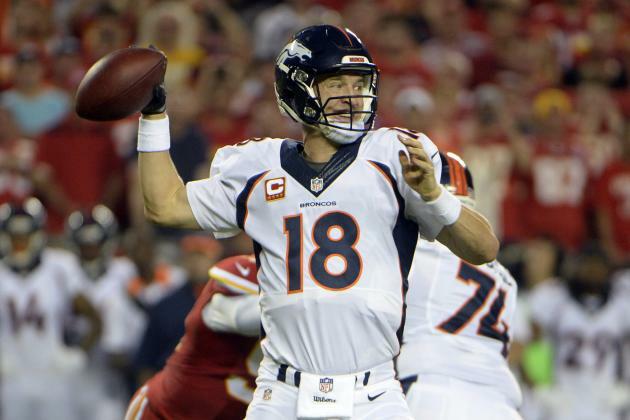 With everyone in the stadium doubting his ability and skill, Peyton set the record straight. The Broncos set the record straight, with two touchdowns in nine seconds. Yeah … they sent that AARP card back. You see while everyone was scrutinizing everything about him, because he was what they considered too old, he was out there knowing full well that they knew nothing about him. He believed even though many others didn’t. During crunch time he wanted the ball because he knew he could deliver and he did, 80 yards in 10 plays for a touchdown, with 36 seconds left. Yeah, everybody seemed to forget who he was, but he quietly reminded them, with 256 yards for the night. I love it when sports reminds you of a valuable life lesson. Just because everybody’s saying you can’t, doesn’t mean you can’t. They don’t know you, they don’t know what you’re capable of, they just think they do. Don’t let the voices of negativity cloud your mind, affect your judgement, or alter your path. You are a badass, at 39 or at any age. You’re on the runway to success, and nobody can hit the breaks, but you. What a fantastic jolt of a post! You, m’dear, have become my personal trainer for this morning thanks to this one. And hells yeah Peyton showed them! You don’t have to be a Broncos fan (I’m not) to appreciate the idea that number eighteen let the kids know what money time looks like. He’s a remarkable player and I’m gonna miss him when he retires…..in 2025. You’re a great writer, hermana. Duuuuuuuuuude I totally love Peyton. Think he’s a pretty awesome cat. And I get that in “football terms” he’s been around a while I get that, but I totally can’t stand how they count him out after a few mistakes. They see the plays and they’re like … yeah I think it’s time … dude. I totally love how he quietly schools all the haters trying to hand him his AARP card. LOVE IT. I’m going to miss the hell out of Peyton when he hangs them up, but he definitely will be around. I can see him doing TV or movies. He’s hilarious. Child, l was at home glued to the tv. How they underestimate him. I did everything but talk in tongues. Watching him is so awesome, how he quietly just schools them. Didn’t see the game so I appreciate the update. And 39 doesn’t sound that old to me anymore. Could be that I’m now 41.